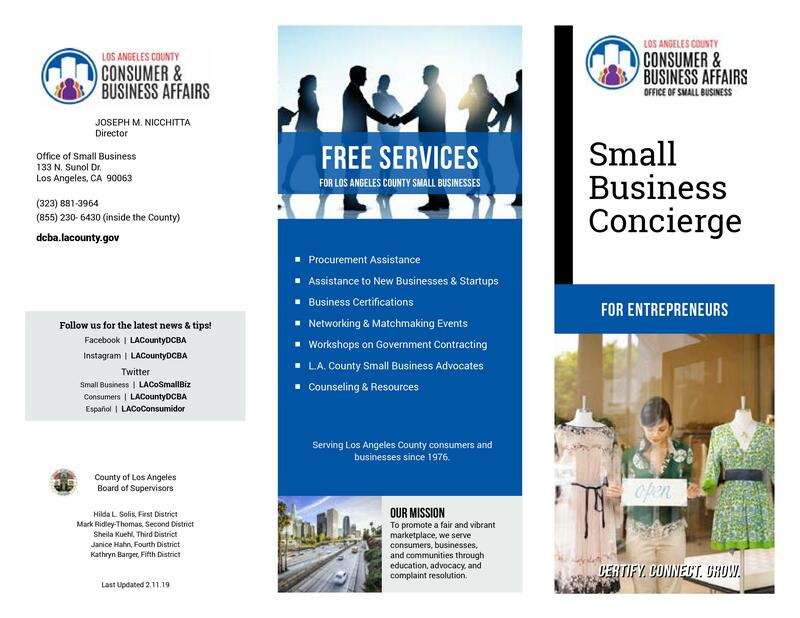 The Small Business Concierge is a service offered by the Los Angeles County Department of Consumer and Business Affairs that assists prospective business owners to successfully open small businesses in the unincorporated areas of the County. 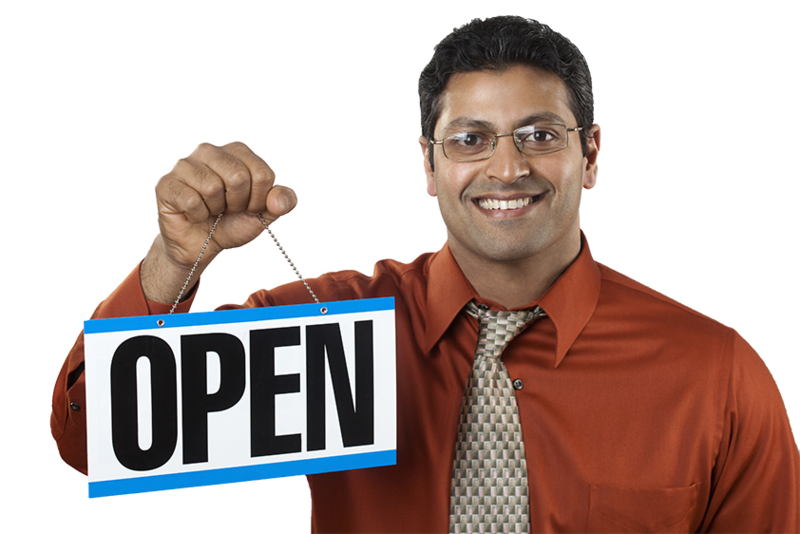 What is the Small Business Concierge? What can the Small Business Concierge do for me? In what areas can the Small Business Concierge provide counseling? How do I access the Concierge? There are 3 easy ways to request help from the DCBA Small Business Concierge! Saturday workshops are for you! Check out the events Calendar for upcoming dates.